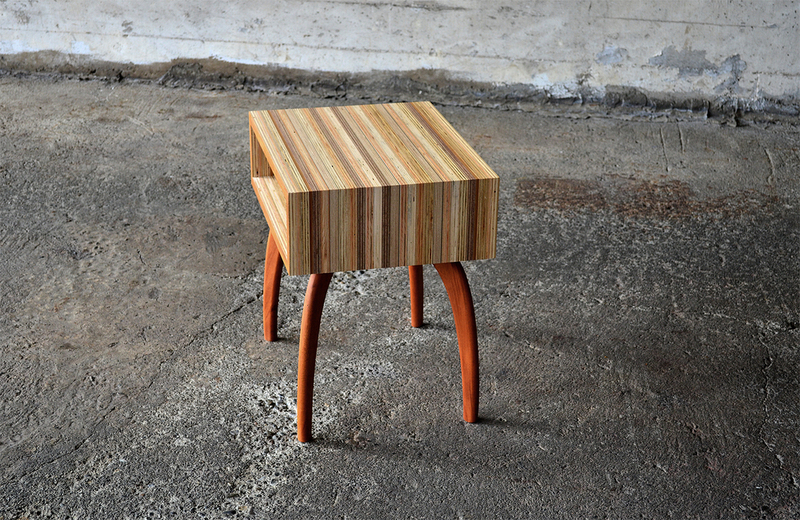 At rePly Furniture we create unique, hand-crafted furniture from salvaged plywood collected from local cabinet shops. 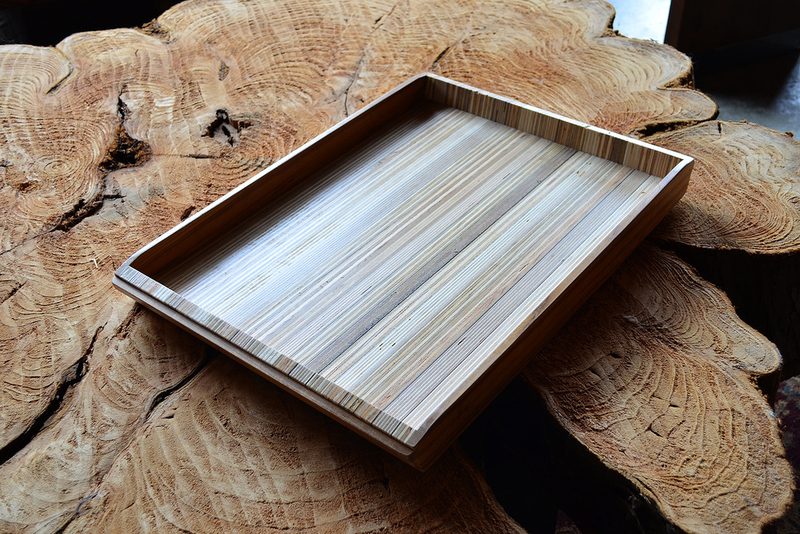 Through a process established over several years, the plywood scrap is shaped, sanded and then put together in a number of different ways to create one of a kind, eco-friendly, heirloom quality pieces extolling its unique and normally unseen attributes. It's hard to describe with words and needs to be seen and touched to be fully appreciated. We take a great deal of pride in our creations. Our goal is to design and build something that will last - both aesthetically and structurally. 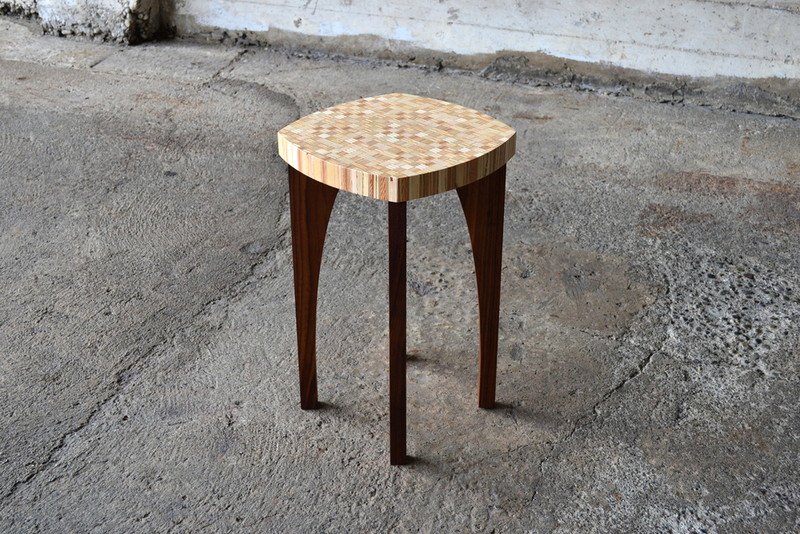 The raw material we use to create our furniture almost always begins as many small pieces of plywood. Plywood doesn't have the same structure and strength as hardwood and using traditional joinery is not usually an effective approach. So we use a combination of lap joints and/or mitered joints with biscuits. 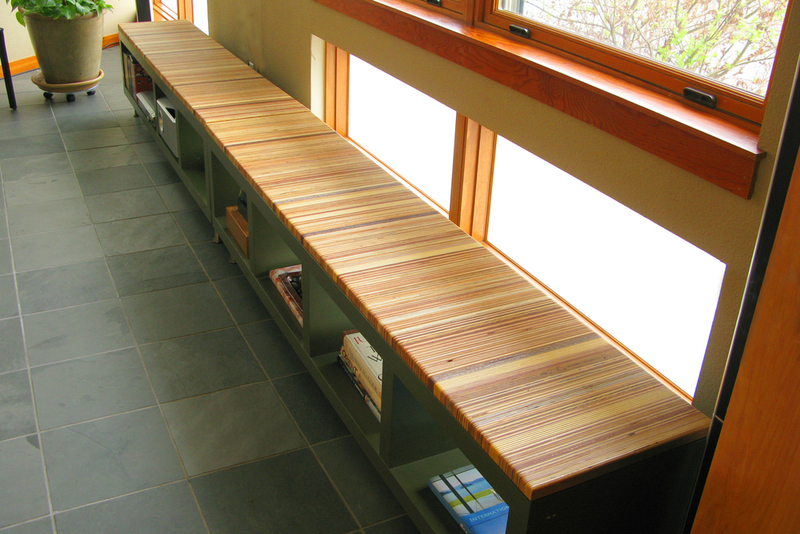 Corbels and aprons made from hardwood for additional strength are also used when needed.